What Does It Mean to Go Viral Online? A lot of people would kill to know what the “secret formula” might be to going viral online. Countless articles and books have been written claiming to teach anyone how to create viral content that takes on a life of its own after it’s sent out into the online world. In reality, nobody knows the secret formula. And that’s sort of the beauty of online virality. Most things actually go viral by accident. Very few people have mastered the art of creating viral content on purpose, and those that have are paid lots of money to do it for businesses that need that kind of exposure. 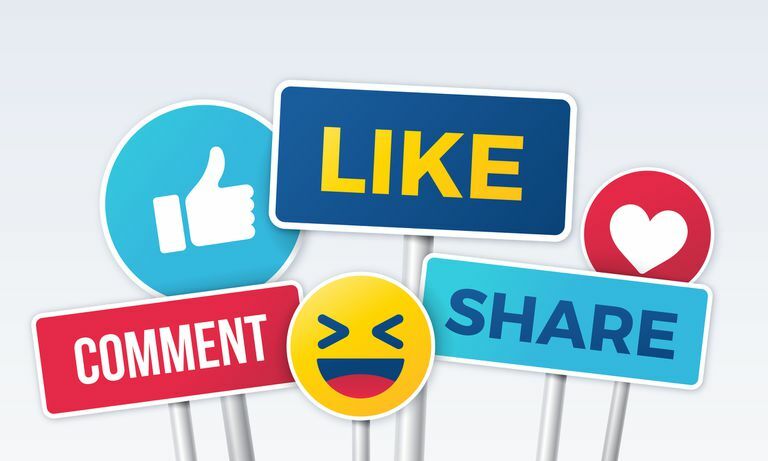 If you’re active on social media, you’re bound to come across a piece of viral content at some point that’s been shared with your friends or followers and continues to be shared over and over. What Does “Viral” Really Mean? By definition, viral comes from the word “virus,” which is a medical term used to describe a small infectious agent that can infect all types of organisms. It's also a computer term. On the internet, however, a piece of content can spread just like a virus if people become “infected” when they see it. The infection usually comes from evoked emotions that spur the viewer to share it, so they can relate with other people and discuss how they feel. Think about it. When you share something online, you do it because it moved you in some way, emotionally. Whether it made you sad, happy, angry, surprised, disgusted, or anything else, you share it because you want other people to share those feelings with you. When people think of the term “viral,” they often think of viral videos. But videos are only one form of content that tend to go viral. Truthfully, anything can go viral on the internet. Whether it’s a photo, an animation, an article, a quote, a tweet, a person, an animal, an idea, an argument, a coupon, an event, or anything else, it has the power to go viral if it appeals enough to the masses and is shareable. There's no specific number of shares, likes, retweets, reblogs, meme shares, or any other measure of interaction needed to be reached in order for it to claim "viral" status. On YouTube, lots of videos get tens of thousands of views now shortly after being uploaded, but many people wouldn't say that's enough to consider it viral. When YouTube was much smaller, though, and there weren't as many users uploading videos, tens of thousands of views might have counted as "going viral." Therefore, it's all relative. A celebrity on Twitter might get thousands of retweets for tweeting something mundane, but if you get a few hundred or thousands of retweets on a tweet when you're used to maybe getting two or three retweets on average, you could say that your tweet went viral. Without social networking sites, it would be a whole lot harder for things to go viral. Back in the 90s, we weren’t connected online the way we are now, and it's our close connections to one another are what strengthens virality. These days, we're constantly connected to each other on sites like Facebook, Twitter, Instagram, and others. Advanced technology and platform design have made it incredibly simple to share things with our friends and followers, making the perfect environment for a ripple effect to occur on all levels of social media with the perfect piece of shareable content. All it takes is a few shares and the right audience to trigger an avalanche of sharing across the internet. It’s not easy to start a viral movement, but when it does happen, it can take the most regular people and turn them into internet celebrities practically overnight if it's powerful enough. Everyone has a different opinion on what classifies as “viral.” Marketers tend to use it in a different way that regular folks do. While regular internet users might describe a viral piece of content to be something like the Gangnam Style music video, businessmen and marketers might call a simple infographic or discount a viral sensation if it gets shared automatically just a few times. This is the super tricky, mysterious part. As pointed out already, nobody knows the secret formula to "going viral". There really isn't one because there are too many variables. There are, however, a few things you can do to perhaps enhance your chances for success. If you want a piece of your own content to get a lot of exposure online with little effort on your part, it may be beneficial to take note of current viral content and build off of their formula. With the amount of stuff that gets shared online these days, it’s not easy to stay on top of the hottest things that are bound to be memorable for years to come. Throwback: Remember These Pointless Internet Memes That Went Super Viral? What in the World Does TBT Mean? What Does It Mean When Someone Puts 'MT' in a Tweet? What Does It Mean to 'Boot' a Computer?